Study and viewing rooms available for one or a group. Photo ID must be presented at the appropriate Help Desk to make a reservation and to access rooms. 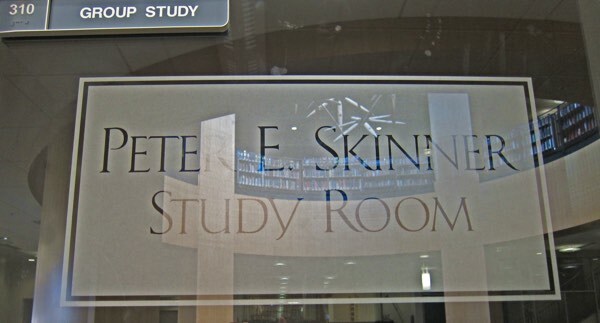 Study Rooms may be reserved for a maximum of 4 hours per reservation and up to one week in advance. User/Groups may make one advanced reservation per day and additional "first come, first served" reservations as needed. Users must check out a room key at the Help Desk in order to access a room. Library staff may cancel reservations for users who do not arrive on time in order to make rooms available to others. Renewals may be requested by phone or at the Help Desk within the last 5 minutes of a reservation. Coe Library study room keys must be returned to the Help Desk immediately at or prior to the end of a reservation so the next user is not kept waiting. Library staff may cancel reservations for users determined to be unfairly monopolizing rooms. *Abuse of study room and viewing room policies may result in the loss of room privileges.